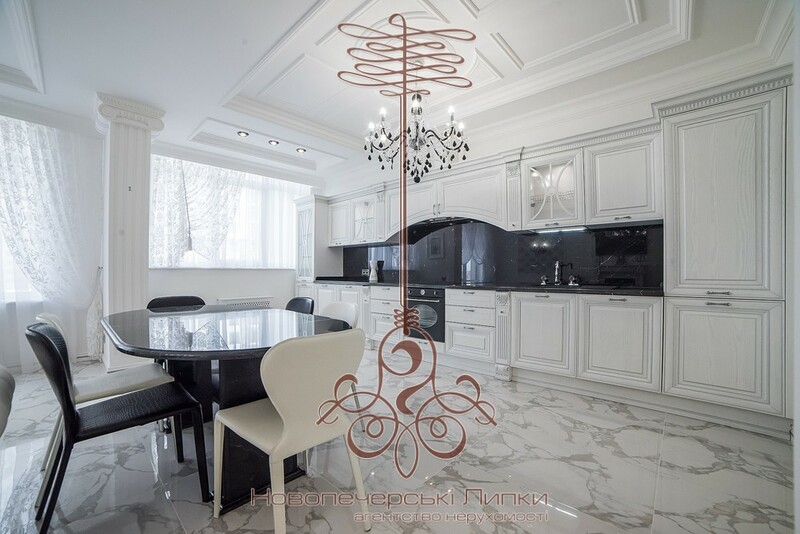 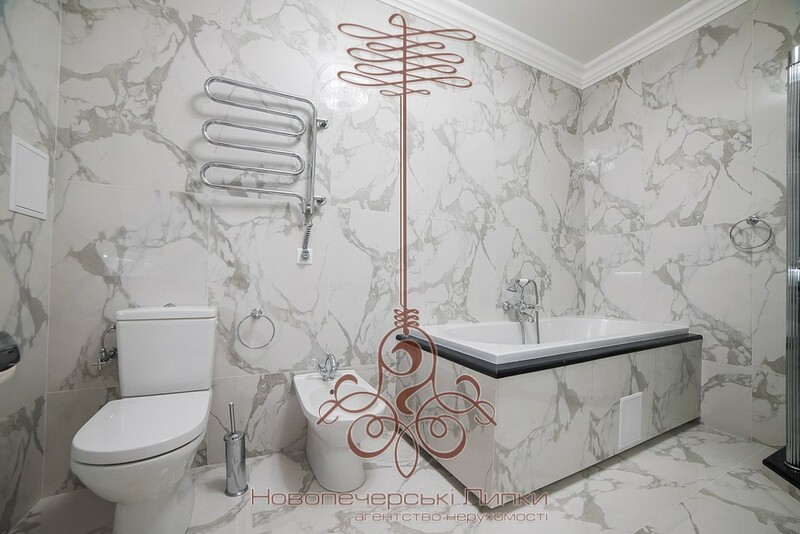 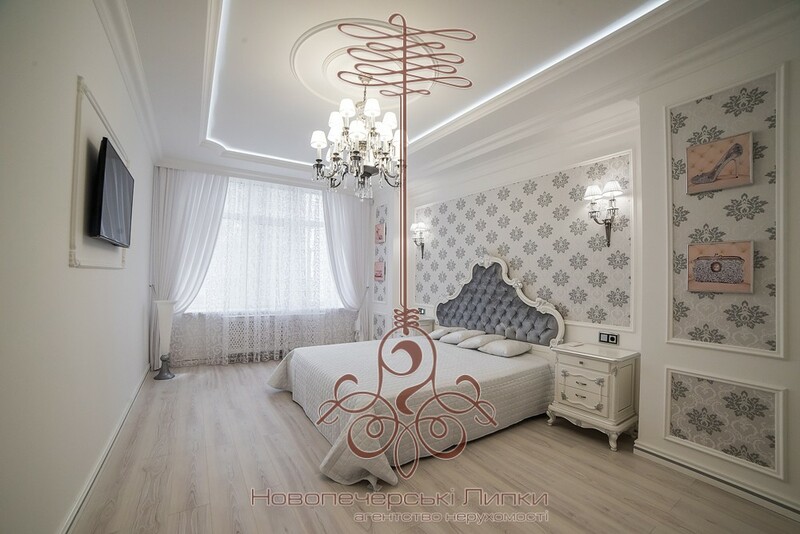 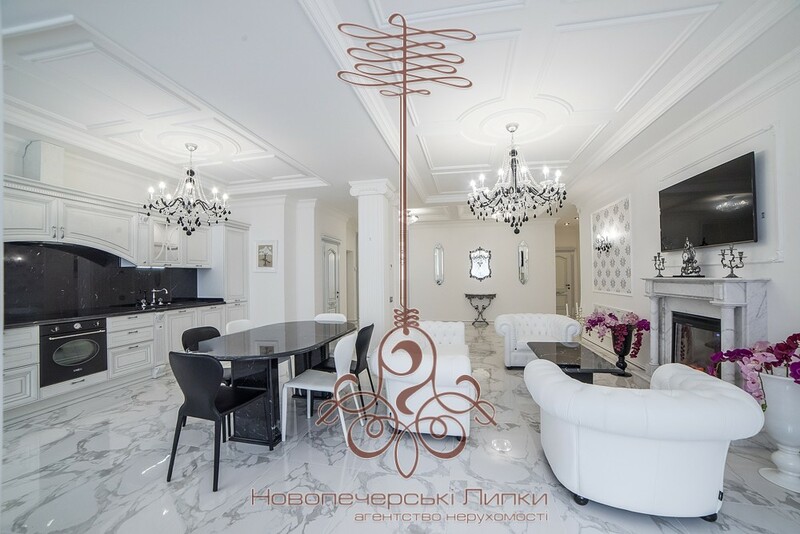 Luxurious stylish 3-room apartment (115 m2) in the best residential complex in Kiev “Novopechersky Lypky” in Dragomirov Street, 20. 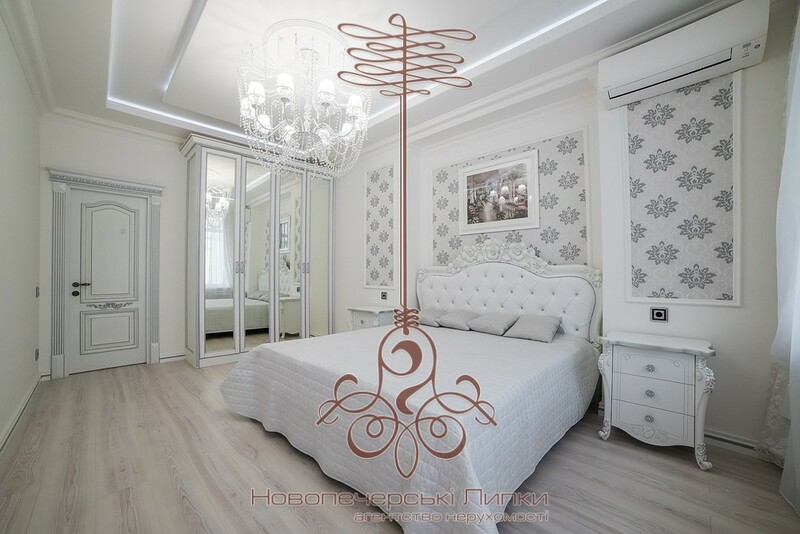 Luxurious designer interior with classic elements, spacious light rooms, Italian furniture of famous brands Les Andre, TS Salotti, high quality sanitary equipment Villeroy & Boch, finishing materials – natural, expensive. 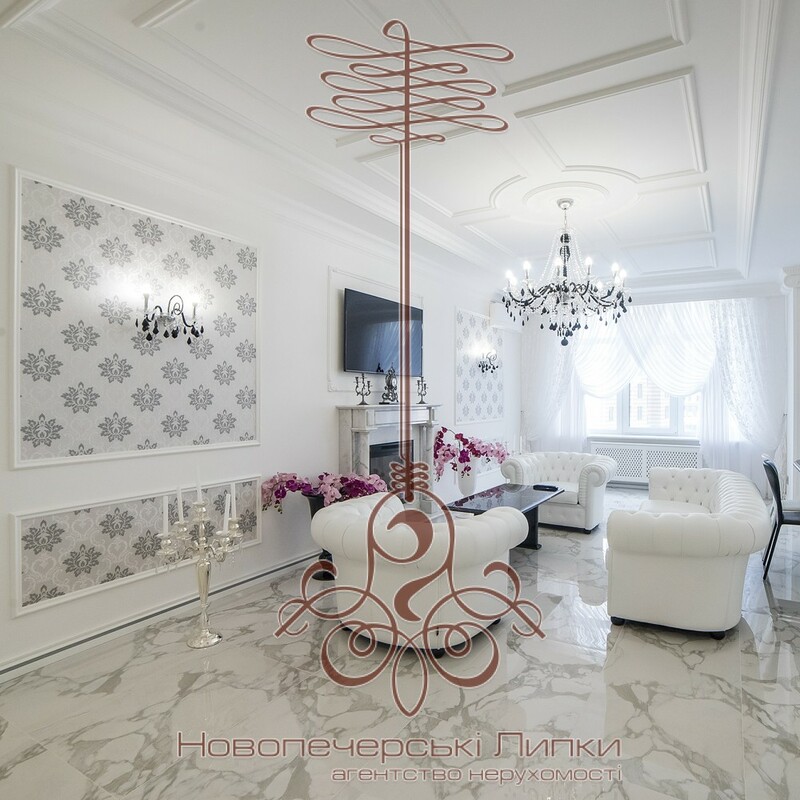 Conditioners DAIKIN, marble fireplace (Spain), bar-black granite, curtains-exclusive Italian fabrics, wine cabinet-Lube (Italy). 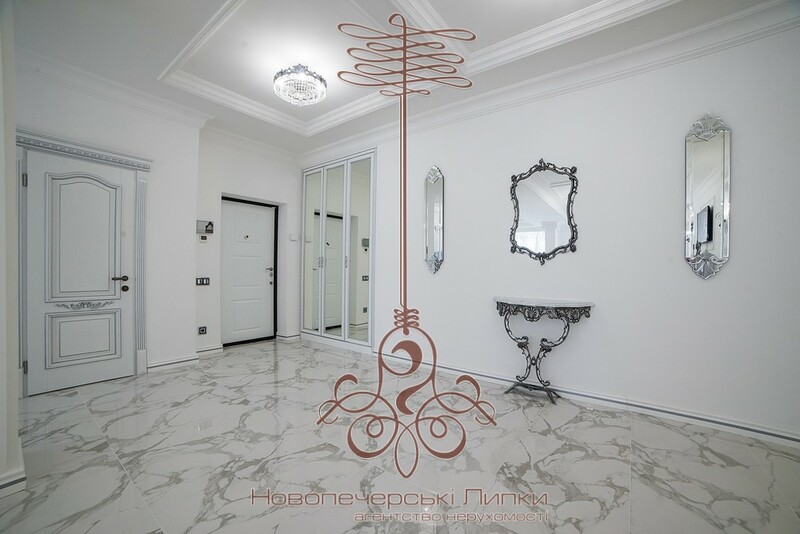 Elevator in the underground parking, round the clock security of the territory, its own developed infrastructure of the complex.